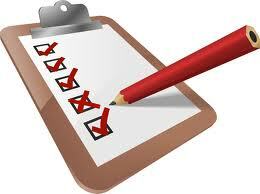 You must keep a written record of your fire risk assessment if your business has 5 or more RELEVANT people. Any person in the immediate vicinity of the premises who is at risk from a fire on the premises - this may include: staff, students, visitors or members of the public on the street adjacent to the building. A 'QUOTE' is something I give and stick to if I quote a price for a job, that is what you will pay. An estimate is something given out when the so called expert doesn't know how much it is going to cost. Top tip, always ask for a quote and make them stick to it, I WILL.